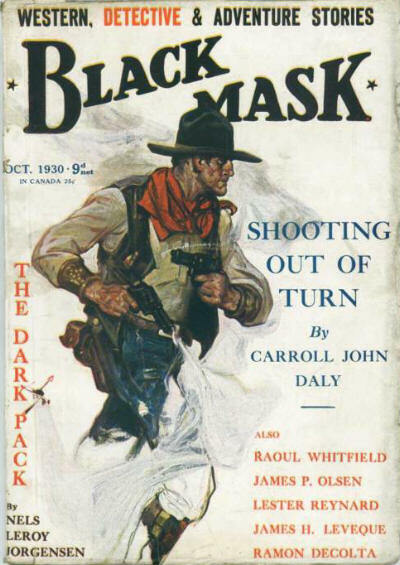 Reprint of the October 1929 (US) issue, plus a single story each from the September 1920, July 1921 and April 1922 (US) issues. Partial reprint of the November 1929 (US) issue, plus a single story each from the November 1921 and June 1920 (US) issues. 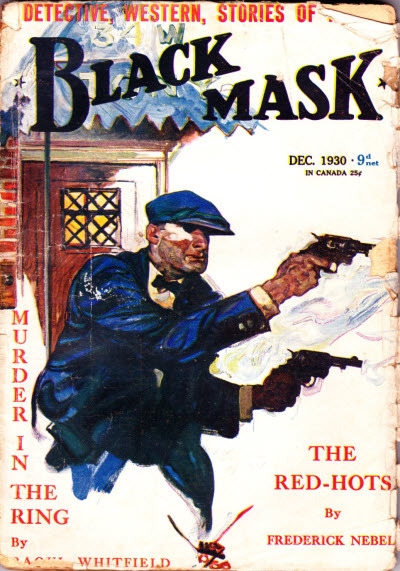 Reprint of the December 1929 (US) issue, plus a single story from the January 1922 (US) issue. Details supplied by Rob Preston. 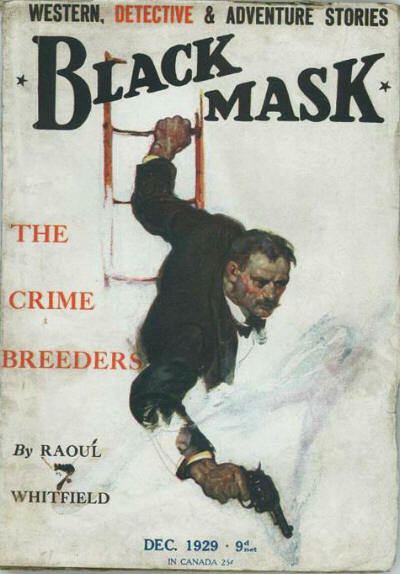 27 · The Crime Breeders, Part 1: Outside [The Crime Breeders] · Raoul Whitfield · ss Black Mask Dec 1929; given as Crime Breeders in the Table of Contents. Partial reprint of the January 1930 (US) issue, plus a single story from the June 1920 (US) issue. A Chance Shot by Henry Wallace Phillips is listed in the Table of Contents, but is not in the magazine. 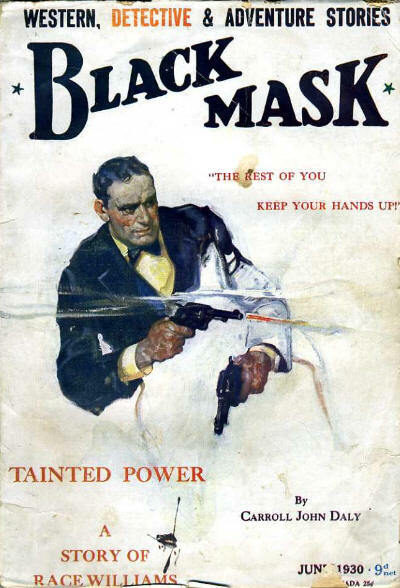 88 · The Crime Breeders, Part 2: Red Smoke [The Crime Breeders] · Raoul F. Whitfield · ss Black Mask Jan 1930; not the same as the story of the same name in the December 1st, 1931 issue of The Popular Complete Stories. 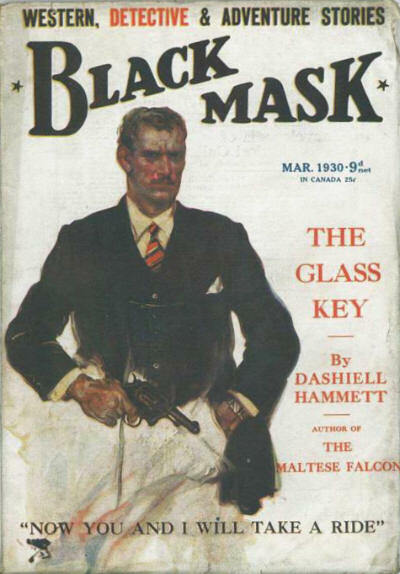 Reprint of the February 1930 (US) issue, plus a single story from the April 1920 (US) issue. Reprint of the March 1930 (US) issue, plus a single story from the June 1922 (US) issue. Reprint of the April 1930 (US) issue, plus a single story from the January 1922 (US) issue. Reprint of the May 1930 (US) issue, plus a single story each from the September 1920 and October 1921 (US) issues. Reprint of the June 1930 (US) issue, plus a single story each from the September 1920, December 1921 and January 1922 (US) issues. Reprint of the July 1930 (US) issue, plus a single story each from the February 1921, March 1921 and February 1922 (US) issues. 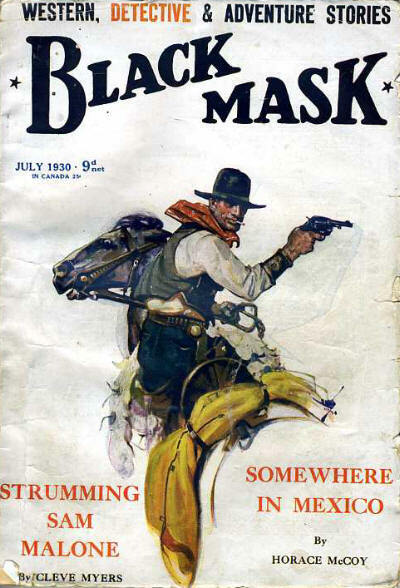 Reprint of the August 1930 (US) issue, plus a single story from the April 1921 (US) issue. Reprint of the September 1930 (US) issue, plus a single story each from the May 1921 and September 1921 (US) issues. 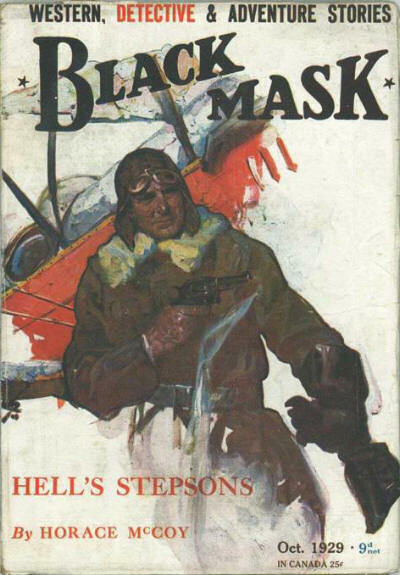 Reprint of the October 1930 (US) issue, plus a single story each from the August 1921 and June 1921 (US) issues. Reprint of the November 1930 (US) issue, plus two stories from the October 1920 (US) issue and a single story from the June 1921 (US) issue. Reprint of the December 1930 (US) issue, plus two stories from the September 1921 (US) issue and a single story from the June 1921 (US) issue.